This weekend Passerbuys and Women & Film will present the first annual Female Filmmakers Festival (FFFEST), a 3-day screening and talk series dedicated to celebrating accomplished female filmmakers and empowering women who want to break into the industry. FFFEST will take place from October 12th through October 14th at the Downtown Independent theater in Los Angeles, California and will foster a community for female filmmakers to share resources, guidance and inspiration. 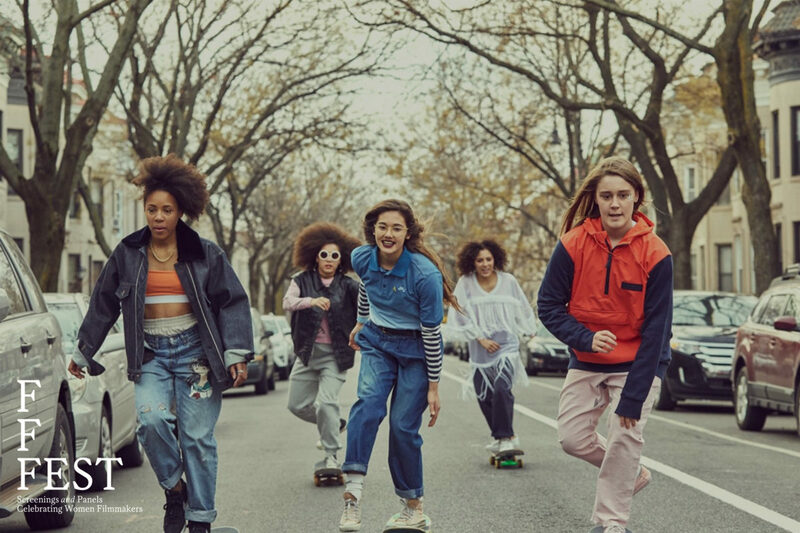 FFFEST’s diverse program includes feature-length such as the critically-acclaimed SKATE KITCHEN directed by Crystal Moselle, the award-winning MOSSANE directed by the first Sub-Saharan African woman director, Safi Faye and short films such as the premiere of MAVERICK by Cara Stricker. Between screenings, FFFEST will host exclusive talks featuring some of the top women working in the contemporary film industry such as Sarah Finn (Casting Director, Black Panther), Lake Bell (Director, In A World), Jameela Jamil (Actress, The Good Place) and Natalie Farrey (Head of Vice Film) as they provide answers to the most pertinent questions facing women working in film today. The primary mission of the Female Filmmakers Festival is to inspire more women to make films by celebrating the women leading the way, and by creating a space where women can share information amongst each other. FFFEST has also teamed up with women-owned and women-led fashion brand VEDA to create custom merch for the festival where a portion of proceeds from every sale will go to Camp Reel Stories.